The pessimist sees difficulty in every opportunity the optimist sees the opportunity in every difficulty. Delta Resource Management has over 7 years expertise in providing staffing solutions Globally to the corporate world. Delta was founded by Col Loveindra Chadha at Pune. The core belief at Delta is to keep the business interests of clients and professional interests of candidates as the main guiding philosophy. Over this period Delta has grown organically to establish itself as one of the better known and most respected consultants. The Team Delta has well experienced, highly trained and motivated Consultants. 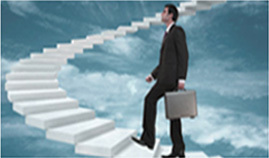 All consultants are very meticulously selected, they are MBA’s and MCA’s and BE/BTech’s. The strategy at Delta is one of organic growth, aimed at long term investment in diversification, guaranteeing its resilience to economic cycle. Delta’s Geographic and cross-discipline expansion has reduced dependency on any one market or limiting geographic reach. The success of this approach is increasingly evident in progressive growth. Innovative operational processes and deep evaluation of candidates has been another hallmark of Delta’s success. We do not hesitate to innovate and re-engineer when there is a need. Search is just one part of the operational process, evaluating each candidate at times by talking to the candidates at 3 levels before he is shortlisted and processed to the client is what our innovative operations is. Core Values We believe the value system at Delta Consultants contributes to our success. These attributes are not only the essence of our brand, but are rooted in each and every member of Team Delta. There's one magical thing that can get you the job of your dreams. People don’t work in vacuums, and so leadership issues must be viewed within a context.